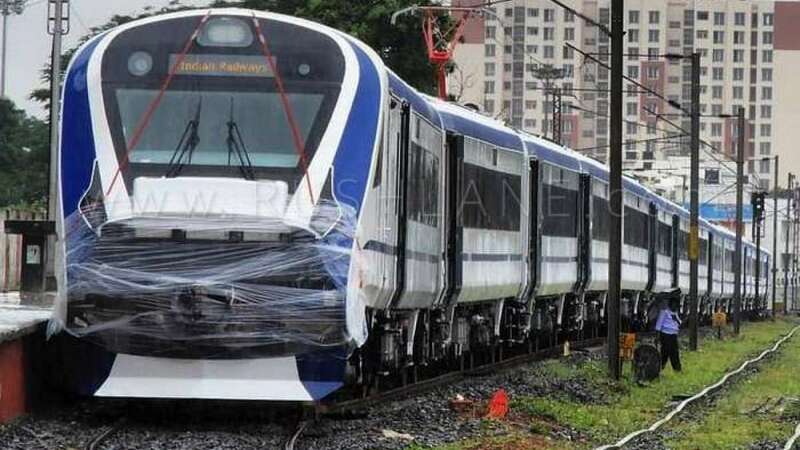 New Delhi : India's first locomotive-less train has crossed the 180 kmph speed limit during a test run, a source close to the development said. Accordingly, the train on which consumed Rs 100 crore became the country's fastest train. To inform, this engine-less train has been names as 'Train 18'. Now, it is expected that Train 18 will replace the current Shatabdi Express day train. Train 18 is capable of touching 200 kmph provided that the rest of Indian Railways' system such as tracks and signals permit, Mani had earlier told IANS. When asked about introducing the sleeper version of Train 18, he said: "We can roll out sleeper coaches as well. No major modifications to the train would be needed for that." The ICF will roll out one more Train 18 this fiscal and four by the next fiscal. In terms of export potential, he said, first the domestic demand will be met and then the overseas market would be looked at. "The overseas demand depends on the kind of rail tracks they have. Medium income countries can certainly buy this train," Mani said. To recall, the engine-less train was flagged off on October 29 by Railway Board Chairman Ashwani Lohani. With holding 16 coaches, the train will have the same passenger carrying capacity as that of the Shatabdi Express. It is about 15-20 per cent energy efficient and leaves less carbon footprint. According to the ICF, every alternative coach is motorised, to ensure even distribution of power and faster acceleration or deceleration. The train sports an advanced regenerative braking system which saves power.